Design is constantly changing. Every year we see new colors, materials and finishes enter the mainstream. Below you will see some of the trends that are expected to breakout this year according to designers. While the artisan/maker movement is nothing new, this year the interest in handmade products by local artisans over big-box offerings will remain strong. 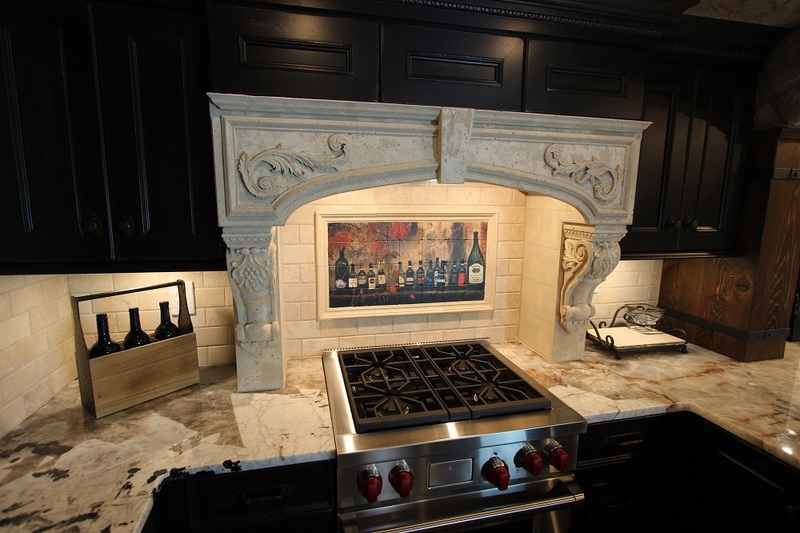 Designers and consumers are looking for unique pieces and at Architectural Justice custom elements are our specialty. 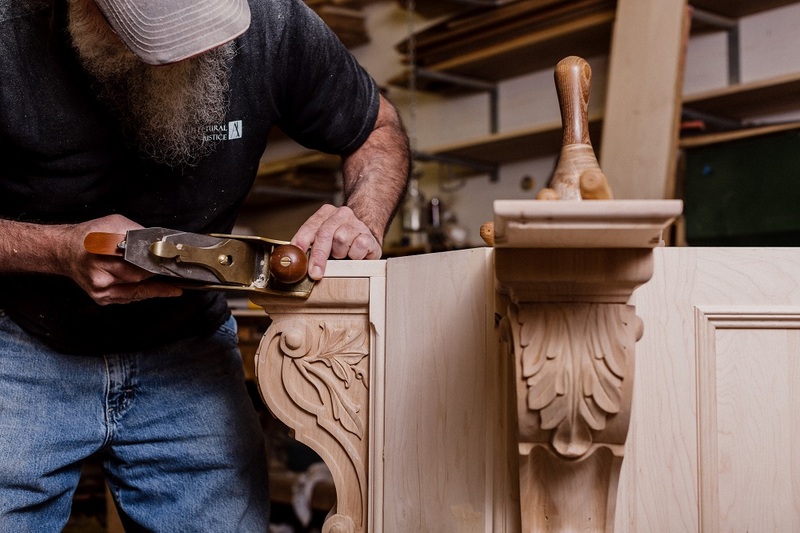 Our talented artisans work with stone, wood and metal to create beautiful furnishings and interior finishes. We have always been a fan of mixing materials. As long as you choose one dominant metal throughout the space, you don’t need to be afraid of mixing copper, bronze, brass, gold, or nickel. Keeping the finishes the same on each type of metal will help pull the look together. While white will always be a classic, there will likely be a rise in color, especially warm grays and earthy shades which will edge out the cool neutrals that most people have gravitated towards in the past. Last year we saw a surge in satin brass in both kitchens and baths. 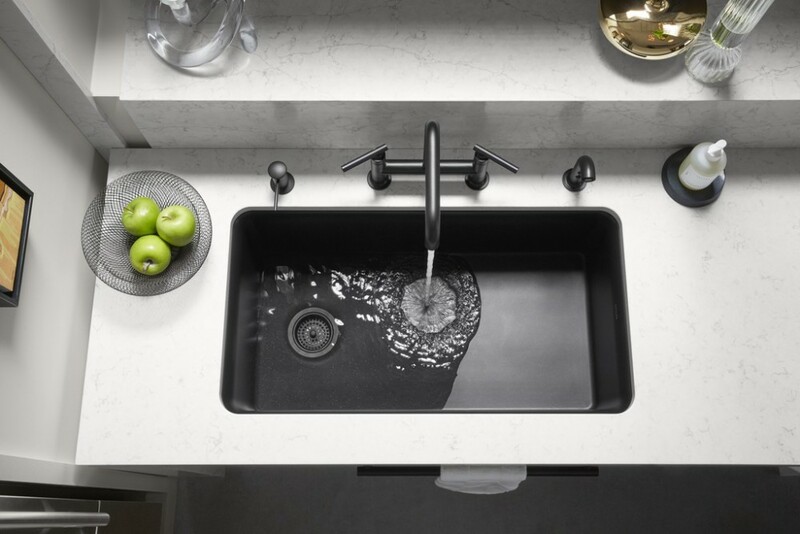 This year matte black fixtures will make way into contemporary spaces. Concrete wall accents have been growing in popularity for years. We developed a concrete wall panel in 2016 while designing an industrial warehouse space. 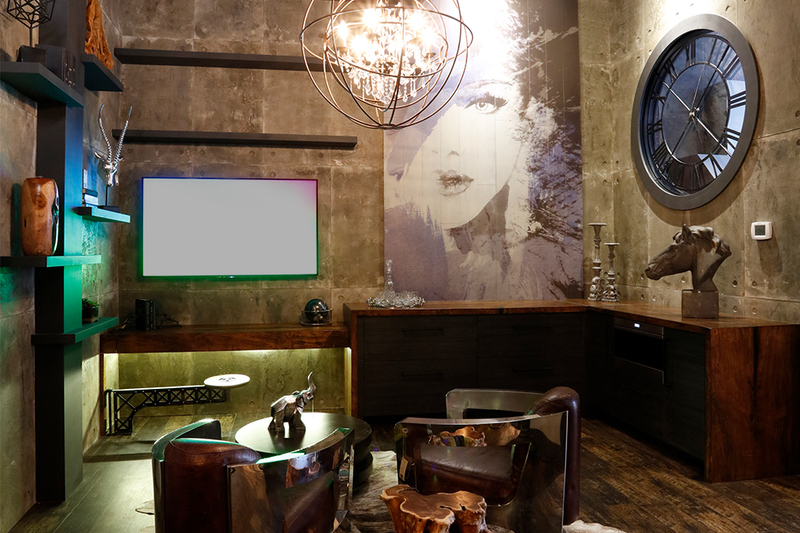 Concrete wall treatments will continue to trend and will also be showing up in more furniture and home decor. 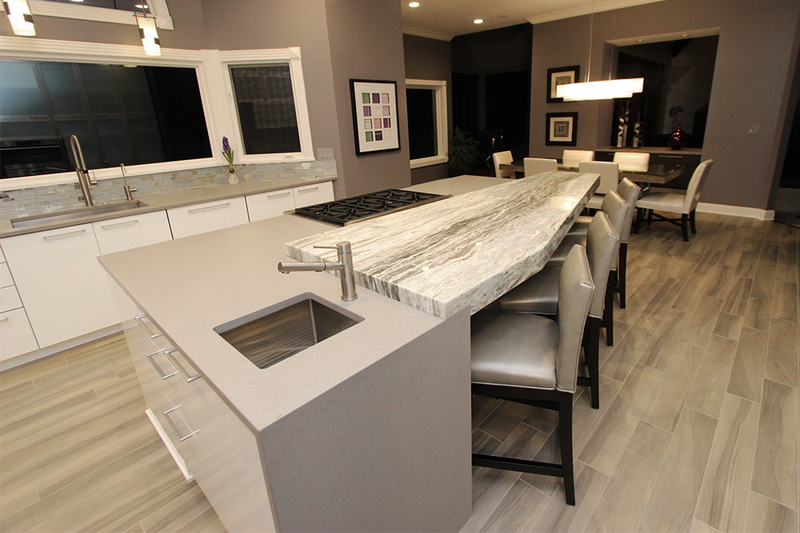 Defining Kitchens in Open Floor Plans. 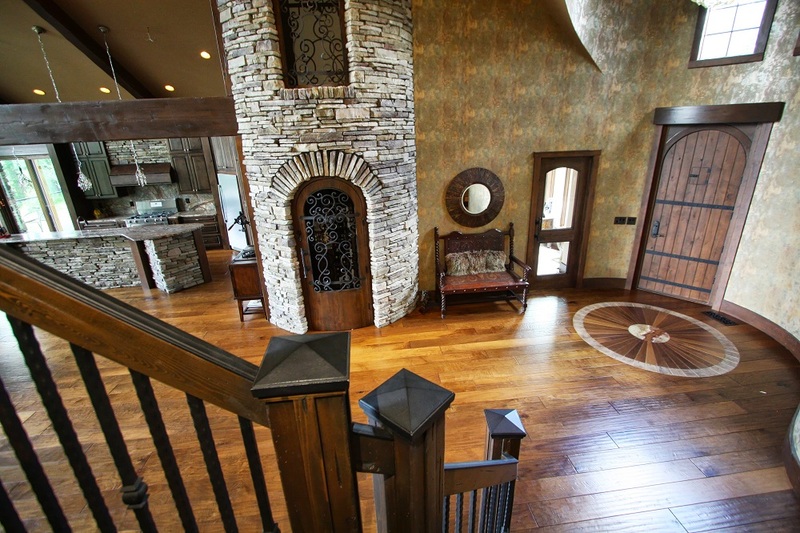 For nearly a decade the open floor plan has been the must have feature in a home. Some homeowners are starting to want a little separation of space. A half wall of cabinetry can create a semi-closed space between the kitchen and living room. Ceiling treatments such as beams can help define a space, another architectural option is to add columns. Out is the boring and dated painted accent wall. The more contemporary feature wall is achieved by adding texture such as millwork and wainscoting. Wallpaper is also hot right now and the possibilities are endless. Also, don’t forget about interior trim, which is often overlooked, but utilizing color vs the standard white or wood stain can add warmth and character. 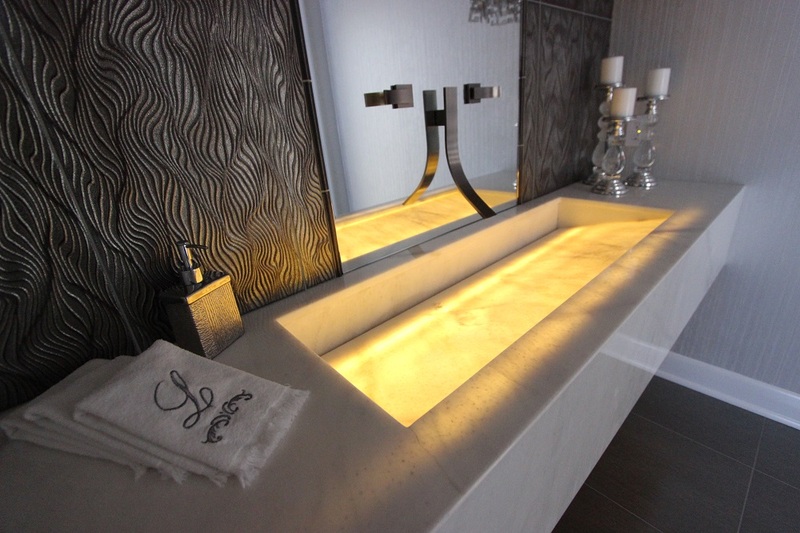 These sinks are desirable for both looks and function. 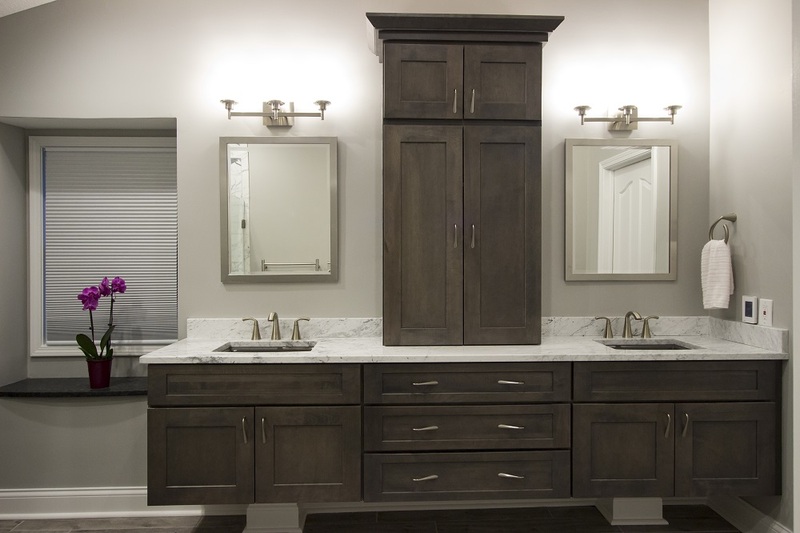 This style of sink also fits in with the modern farmhouse design trend which we will continue to see remain popular throughout 2018. Instead of a basic subway tile homeowners are opting for something with more personality and many contemporary tiles resemble wood, concrete, fabric and even wallpaper. Fewer White and Stainless-Steel Sinks. 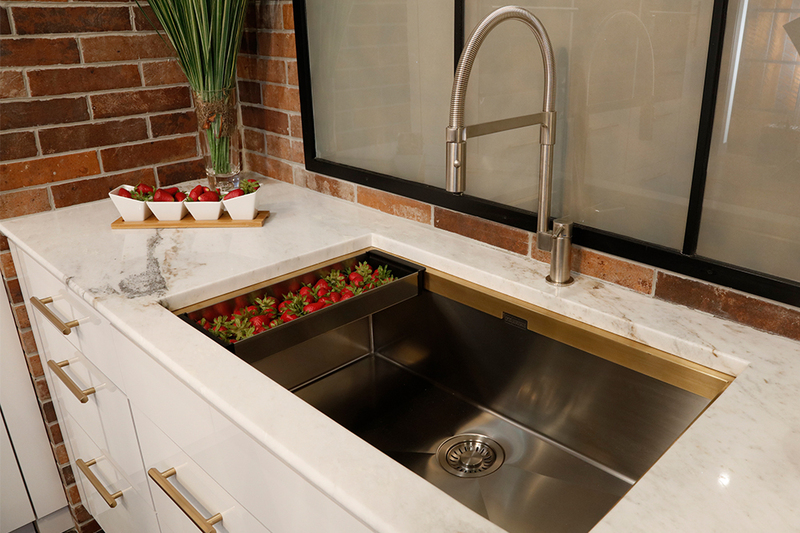 Stainless steel and white sinks will always be classic but there are so many other options out there that can really make a statement. 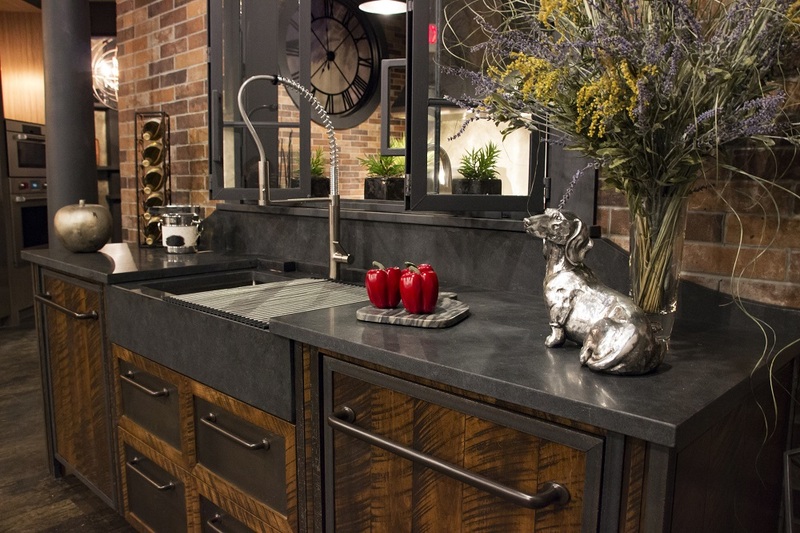 You can expect to see more stone, copper and composite sinks in darker hues such as grey, bronze or black.